My instant gratification is almost done! 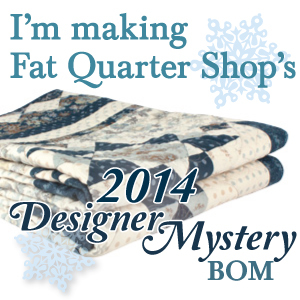 LOL … for me, instant gratification seems to mean about a month turn-around for a quilt top. If I get the borders on this weekend, like I plan to, it will have taken just over a month to do this. I’m very excited about it though, because it will be done in the newest Fig Tree collection which isn’t even out in yardage yet. I’ll wait for the yardage though to come out for the backing and then I’m trying to decide on whether I hand quilt it or send it off. I thought the little flower blocks needed some baskets to go with them! 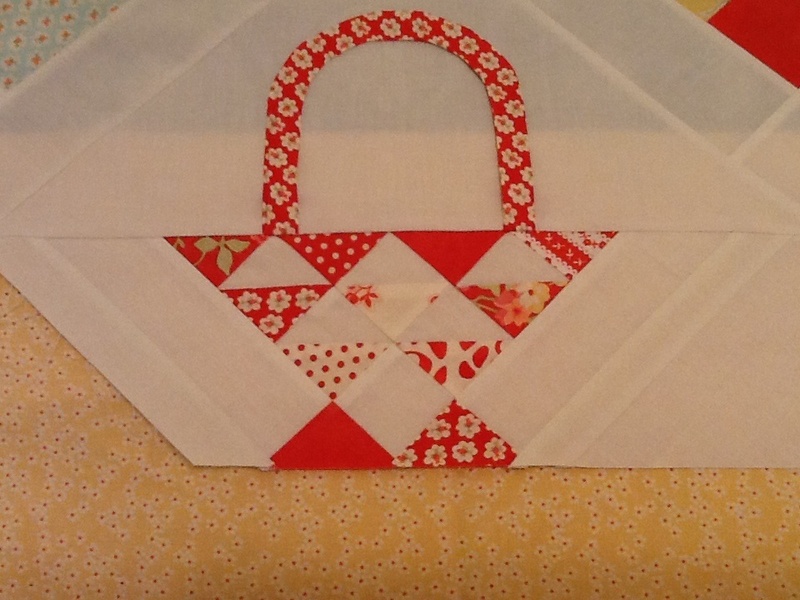 I had those half-square triangles left over from my ‘scraps’ when making the flower blocks. Don’t look too closely though. I didn’t do any math to figure out the positions. I just added on strips and cut them down to size to fit the bottom of the quilt. I did have to break into my Avalon charm pack to get the handle applique, since I didn’t have long bias strips to use instead. I was auditioning the yellow flower fabric from Strawberry Fields for my containment border. I’ll be sewing that on next. It goes perfectly!! Thinking of adding a few applique flowers and vines to complete the look I want. I’ll lay some out after the borders are on and see what I think. Stay tuned! Have a wonderful weekend – see you on the other side for BOM Rehab! 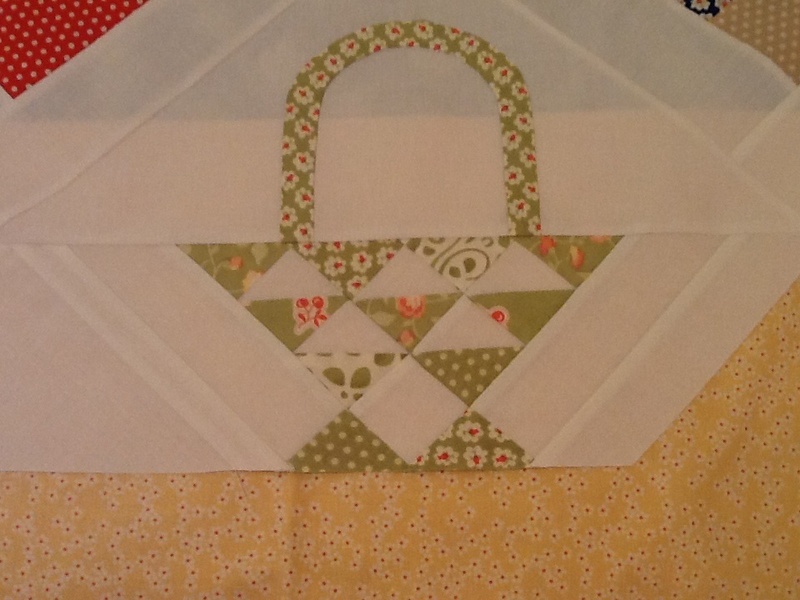 Your quilt top is just adorable with those additional basket blocks! I love it. 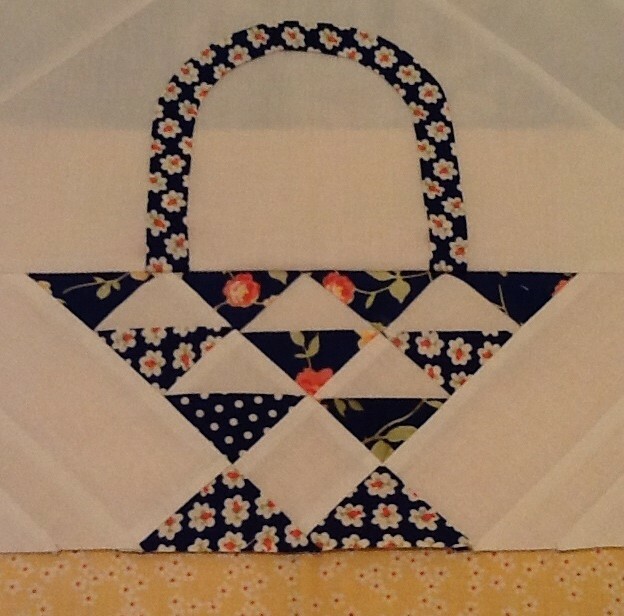 Your quilts are so pretty and creative. The baskets are perfect and look like it was part of the pattern. Don’t you love when fabric from your stash matches something else! 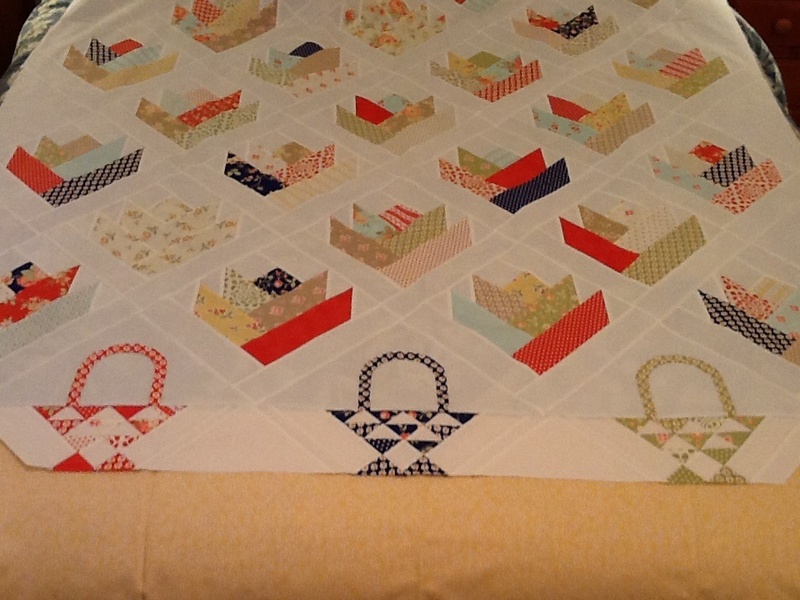 Love the baskets – they’re perfect for this quilt!! Can’t wait to see the vine and flowers additions.